MIDDLEBURG, VA – Salamander Hotels & Resorts, the luxury hotel management company founded by Sheila C. Johnson, has appointed Heather Buss as Director of National Accounts for the Mid-Atlantic region. 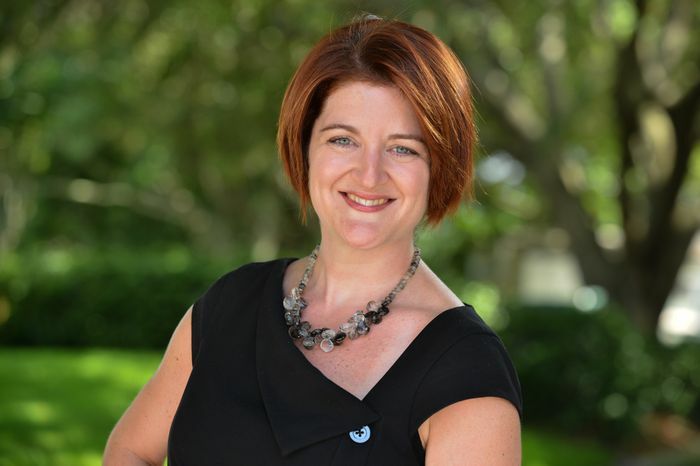 An experienced hospitality sales professional, Buss joins Salamander’s national sales team from Benchmark Hospitality, where she served as Associate Director of Sales at Villas of Grand Cypress resort in Orlando. Buss, who will be based in Washington, D.C, is responsible for selling Salamander’s growing portfolio, which includes the luxurious Salamander Resort & Spa in Middleburg, VA; three renowned golf resorts in Florida: Innisbrook in Tampa Bay, Reunion in Orlando and Hammock Beach in Palm Coast; and a fourth Florida resort, Henderson Beach Resort in Destin, scheduled to open in summer 2016. There are several new hotel and resort projects in the pipeline which will be announced soon. A graduate of DePauw University in Greencastle, IN, Buss has previously held sales leadership positions at Omni Orlando Resort at ChampionGate; Loews Don CeSar Hotel in St. Petersburg, FL; Loews Lake Las Vegas Resort in Henderson, NV; Loews Santa Monica Beach Hotel in California; Chaminade Resort & Spa in Santa Cruz, CA; Pacific Palms Resort & Conference Center in Industry Hills, CA; and Loews Annapolis Hotel in Maryland. For more information about Salamander Hotels & Resorts, visit www.SalamanderHotels.com or call (540) 687-3710. To reach Heather Buss, e-mail hbuss@salamanderhotels.com. Salamander Hotels & Resorts is a privately owned and operated company based in Middleburg, VA, just outside Washington, D.C. Founded by entrepreneur Sheila C. Johnson in 2005, the company has a portfolio that features a collection of three renowned Florida golf resorts including Innisbrook Resort near Tampa, Reunion Resort in Orlando and Hammock Beach Resort in Palm Coast; the luxurious Salamander Resort & Spa in Middleburg, a 340-acre equestrian-inspired property near Washington, D.C.; and the development and management of The Henderson, a 170-room beachfront resort in Destin, FL; For additional information, call (540) 687-3710 or visit www.salamanderhotels.com.